When you ask people what they read for fun, poetry usually isn’t high on their list. Some people’s first (and only) encounter with the genre is through well-meaning teachers who push them to over-analyze a poem’s meaning, stripping away its joy and artistry in the process. In the words of former Poet Laureate Billy Collins, students “tie the poem to a chair with rope/and torture a confession out of it.” If a person’s only experience of poetry is as an opaque puzzle they’re forced to solve, it’s no wonder so many people wind up shunning the form. “Never alone, with you.” A piece of Pablo Neruda’s recently unearthed poetry. I studied poetry in college, reading Pablo Neruda’s works in translation under the guidance of larger-than-life professor Martín Espada. 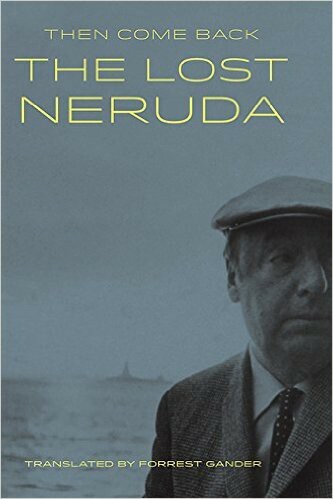 A poet himself, his booming voice and nuanced explanations of the poems helped me fall in love with Neruda’s work, and taught me to explore poetry and find its richness. I’ve kept in touch with friends from that class, and we’ve continued sharing our love of poetry. 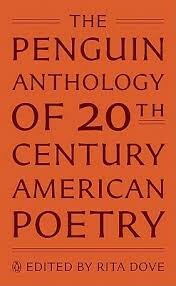 A few years ago, two of us bought copies of The Penguin Anthology of Twentieth-Century American Poetry edited by Rita Dove. Occasionally, one of us will still send the other a page number from the book, a subtle way to share a lot about what we’re reading or how we’re feeling. Poetry is at its best when it’s a living thing. And poetry performed can feel alive and accessible in a way that encountering a poem on a page does not. Every few months, a video performance of a poem tears through social media, even outside of literary circles. Sarah Kay’s 2011 poetic TED talk, “If I should have a daughter,” was viewed by more than 8 million people. The Button Poetry YouTube channel has more than 430,000 subscribers, and individual videos of poetry performances sometimes have millions of views (Lily Myers’ “Shrinking Women” has been viewed 5 million times; Javon Johnson’s “cuz he’s black” has been viewed more than 1.5 million times). These performances provide a way into a literary medium that might otherwise seem sterile or unapproachable. Though poetry has long been a way for people to grapple with strong emotions such as doubt, fear, and grief, some might be surprised to find it welling up so naturally online. But poetry, with its intensity, portability, and succinctness, seems like a natural fit for our 140-character attention span. The form, with its intimacy and ability to surprise and delight, is flourishing on social networks, jumbled up with personal confessions, links to political screeds, and pictures of cats. Twitter’s #micropoetry is an active hashtag for tagging tiny poems or excerpts of poetry, while #MSpoetry acts more like a Twitter-based writers group, with people responding to prompts and sharing their work. Poets on Instagram, like J Iron Word and r.h.sin, have tens or hundreds of thousands of followers, and an individual poem can get thousands of likes — both an indication of how many people are reading the poem and a kind of instantaneous public feedback loop that’s impossible to achieve via traditional publishing channels. Poetry has long been politically charged — the trope of poet-as-activist is well established among poets like Federico Lorca, Claude McKay, Langston Hughes, and Audre Lorde. That hasn’t changed as the delivery system has gone digital. Recently, I’ve seen incandescent work by the 26-year-old London-based Somali poet Warsan Shire blazing through Facebook and Tumblr, articulating grief too big for most of us to speak. An excerpt of one poem, “What They Did Later That Afternoon,” has been especially popular, and feels particularly resonant at a time when horrific acts of violence from across the globe play in a constant loop in the news. When people turn to poetry to respond to unrest or tragedy, timeliness becomes an important factor. The traditional life cycle of a poem—writing it, submitting it to a magazine or a publisher, waiting for it to be produced and distributed—can dampen the impact of poems written in response to or in conversation with events or social movements. Writers publishing poetry online can capture the feeling of a moment and help readers start to make sense of an event, sparking or contributing to a larger conversation. What’s more, traditional channels for publishing poetry are limited, and the readership is often small compared with other types of media. Traditional publishers of poetry books are strapped for resources, often publishing only a few dozen (or a few total) books of poetry in a year. Chapbook contests abound, but those require submission fees and often just one winner is published out of hundreds of submissions. Most would agree that there’s not much money in writing and publishing poetry, and if finding a publisher — which likely offers a writer glory and distribution, without real hope of financial rewards — is so bottlenecked, it’s no wonder that some poets are turning to the internet as a much more immediate way to connect directly with readers. But publishing poetry online does not have to mean forgoing more traditional publication. In fact, building up an online readership can help bring a poet to the attention of publishers, or help a poet find a market for a self-published book. The New York Times profiled the poet Tyler Knott Gregson, who has found huge followings on Instagram and Tumblr. His online readership—more than half a million people reading and sharing his work—helped catapult sales of his books into the stratosphere, compared with the sales of most poetry books. His first book, Chasers of the Light, has over 120,000 copies in print. While some people fear the introduction of new technology, worrying that it will undermine or do away with art forms of the past, new technology and social media have proven an invaluable complement to traditional publishing. The publishing industry is especially prone to doom-and-gloom pronouncements, but savvy authors and publishers are experimenting and harnessing the power of these new platforms to connect with readers and other writers in exciting new ways. As a member of the Publishing Outreach team at Kickstarter, I’ve worked with publishers and poets who are turning to sites like Kickstarter to harness the speed and connectivity of the internet to create something tangible. A Kickstarter campaign can be a hybrid between the traditional and the virtual — a way to engage enthusiastic readers in a moment, then connect with them to produce something lasting over a longer time period. When Copper Canyon Press was entrusted with a series of never-before-published poems written by the beloved Chilean Nobel laureate Pablo Neruda, they opted to use Kickstarter to introduce the project—and snippets of Neruda’s unpublished work—to the world. Ultimately, they connected with nearly 1,500 Neruda fans all over the world to help produce a beautiful, illustrated, hardcover edition of Then Come Back: The Lost Neruda, released this April 26. Copper Canyon Press funded this book of lost Pablo Neruda poems on Kickstarter. Poetry is thriving in the wilds of the internet, even outside the bounds of literary magazines and traditional publishing structures. Loosing poems from their books and letting them mingle in the real world can help create authentic human connection around these powerful words — words of grief and suffering as well as words of joy, hope, and celebration. The democratizing effect of the internet seems like just what the sometimes misunderstood and cloistered genre of poetry needs. Ultimately, building deeper connections between people and poetry and expanding who gets to write poetry and who reads it will create a more robust, meaningful poetry ecosystem for all.